During a HANDLE evaluation the provider collects information by taking the client through a series of tasks, or maybe by simply observing or playing. They also take an extensive history. During the HANDLE presentation the client is given information about what the provider learned that might explain why some things are more challenging for them. 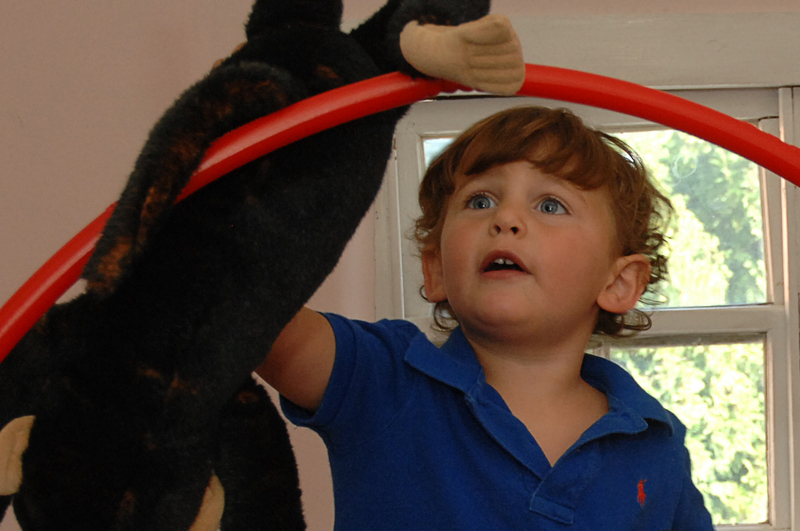 The provider also leads the client through a set of individualized activities to do at home. The activities may include simple equipment such as a crazy straw or a ball, and will take from 10-30 minutes a day. The activities provide organized, repetitive, rhythmic, movement and/or input to the brain and body that change the way the brain and body function. The client/family learns a new way of viewing “problematic” behaviors or symptoms. They learn that “symptoms” are the body’s way of communicating, and they gain insight into how to reduce stress. As a complement to the home-based activities, the HANDLE provider will often include other recommendations as part of the client's program. The health of the brain and sensory processing systems depends heavily on the health of the body. Therefore recommendations may address the internal and external environments of the individual. The provider also considers the client’s family, social and educational systems when making recommendations. We ensure the quality of HANDLE providers through competency based certification.